Health is the basic right of a person. Without a sound body and sound mind a man cannot lead a happy life. It is imperative for a person to be in good health in order to live a life that has happiness engulfed within it. Would you ever be able to work hard if your health is falling? Would you be able to spend happy moments with your family if you are not healthy? Well! the answer to such questions is clearly a “No”. It is actually the duty of the government to make necessary arrangements so that each individual of a state may lead a healthy life. The Sindh province of Pakistan is facing a lot of health problems.There are a lot of ailments that are prevalent in this province that need to be addressed immediately so that the menace of ailments may be taken away from this province. Here are some main problems that this province is facing. The kids of this age at Sindh are not as healthy as their forefathers used to be. The kids are a prey to many diseases. The main reason behind their being vulnerable towards the diseases is that they do not receive any vaccination. The Sindh government doesn’t make proper arrangements for the vaccination of the kids that in turn causes them to suffer dangerous diseases. Moreover, there is no clean water to be drunk by the kids that causes them a great number of ailments. To their ill fate, even the food is not clean as Sindh is the province with great number of industries that adds much to the pollution level of the cities and villages of Sindh. The health facilities concerning pregnancy are too low in Sindh. There is no good facilities for the reproductive care at Sindh. Majority of the women of Sindh have to face serious problems in their pregnancies. 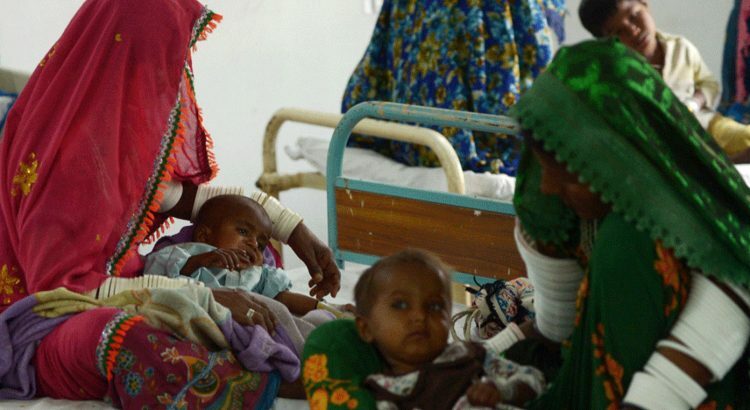 Most of the backward areas of the Sindh are totally nill at maternity care. They lack health professionals and true knowledge about pregnancy. Every year, due to this problem, many of the women along with their fetuses die. In some of the cases, the doctors fail to save the new born baby and label that mishap as the decision of fate even though that is caused by their own lack of knowledge. Every year the population of Sindh Province is defied by the hepatitis. To be precise, about 2.5% people suffer from hepatitis B and 4.9% of the total population of the Sindh province suffer from hepatitis C. The Sindh government promised to give adequate medical facilities and treatment to the people infected with this heinous viruse but all of the patients did not receive any treatment. Out of 75,000 patients only 11,000 received the treatment. Here it is to be told that the Sindh government does not take any serious step to eradicate this menace. No adequate steps are taken to vaccinate people. This is the reason that only 0.6 million people are vaccinated so that they do not catch this virus. Here it is imperative to highlight the fact that this disease is growing rapidly. In the near future this very diseases is going to take up a face of a great health hazard for the people of Sindh that would in turn get a grip on whole of the Pakistan in a few years. The dengue disease is another big disease that causes a lot of deaths each year. This is caused by the mosquito bite. This disease is really difficult to handle. The Sindh government is trying its best to combat this menace but the process is a little slow. Moreover, the centers where the care against this disease is done is present in big hospitals of Karachi and Hyderabad. It becomes difficult for the patients to reach there and get thr treatment. To add more, the doctors of little cities where the dengue care centers are not present find it difficult to diagnose this that causes the death of many such patients.